Guess we can add "causes insanity" to the harmful side effects. About time she was brought back I suppose. Between the Knightmares arc and now this mini-arc (an intermission within an intermission!) I'm curious if readers of this series are starting to get a bit annoyed. I remember back during the Fraction/Aja/Wu Hawkeye series the alternating Clint/Kate issues and the delays completely killed the story's momentum and left me annoyed as a reader, and I have to imagine I'd feel the same way if I were invested in this. As a reader, yes it's annoying. The fact that it's bi-weekly helps, though. So much for being Duke Thoman's future wife. I think that'll still happen. 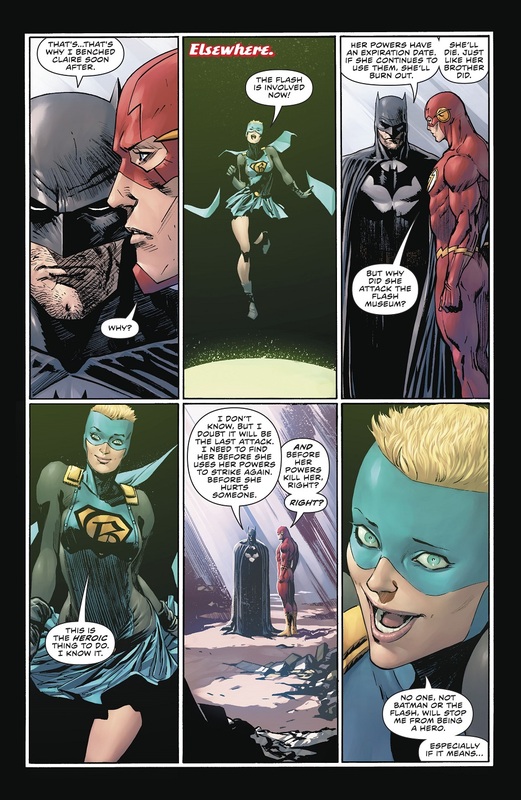 Regardless of how wishy-washy his run on Batman has become, I believe it when Tom King says he's had all 100 issues planned out from the start. She turning her dead brother into a Frankenstein monster? 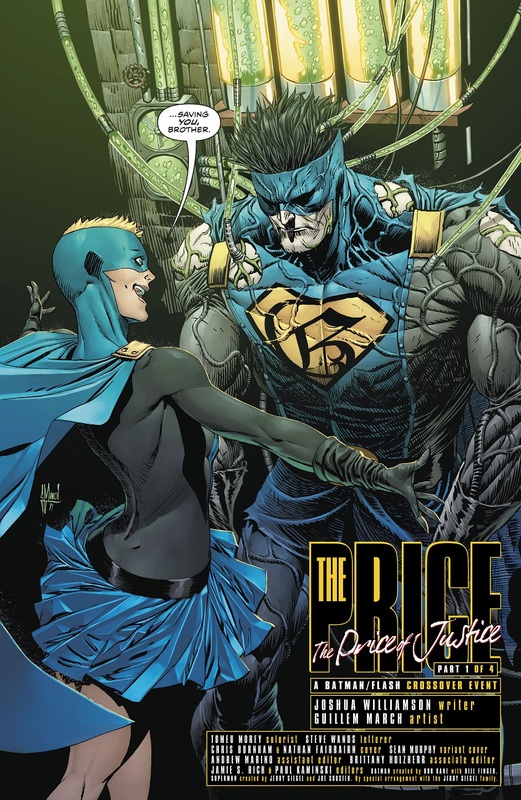 Okay, who let Greg Land do her posing? And what the hell is going on with her cape and skirt? You'd think she was underwater the way they're billowing like that.